As CEO of Citizant, Alba M. Alemán provides leadership and strategic direction related to growth, business development, customer satisfaction, corporate culture, and employee engagement. Alba has had an active, instrumental role in the company’s success and growth. Since its founding in 1999, Citizant has been recognized by government customers and industry organizations for its effective and innovative IT and business transformation solutions. Alba has redefined the company’s mission, vision, and values and has refocused the leadership team on customer satisfaction and employee engagement. As a result, Citizant now consistently receives superlative performance ratings and has seen dramatic increases in employee retention, referrals, and overall engagement. Alba firmly believes that companies must invest in mature business practices to ensure customer success. She has helped her team achieve mature software development and program management qualifications such as ISO certifications and several process quality appraisals under the Software Engineering Institute’s CMMI (Capability Maturity Model Integration) standards. 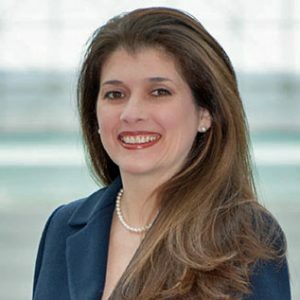 Alba’s career encompasses more than 25 years of experience in talent acquisition and retention with the delivery of high-quality information solutions to the government. During the 5 years she spent with Texas Instruments, she managed a 140-person professional services team to support federal, state, and local government organizations. She began her career at Mobil Oil in software development. A number of business organizations have recognized Alba as a successful entrepreneur and executive. In 2008, she was named among the 25 top female executives in the region by Washington SmartCEO magazine and was recognized as one of the “Women Who Means Business” by the Washington Business Journal. The Mid-Atlantic Hispanic Chamber of Commerce chose her as the Latina Business Owner of the Year for Fairfax County, Va. in 2010. She is a long-standing member and supporter of the Young Presidents’ Organization (YPO) and the U.S. Women’s Chamber of Commerce. Recently, she has also joined the World Presidents’ Organization (WPO) and YPO’s Women’s International Network (WIN) to provide support for other female business leaders around the world. She has served on a number of boards, but closest to her heart was service as a trustee of a local independent school, where she also launched and chaired their technology committee. Alba earned a bachelor’s degree in computer information systems and psychology from The George Washington University.